This is a clinical hypnotherapy session, recorded in high definition audio, containing spoken hypnosis, binaural beats, nature sounds, & relaxing music to reduce your stress levels. It will help you reach & maintain a comfortable level of deep trance to wash away any feelings of anxiety, stress, panic or worrying thoughts. The soundtrack contains binaural beats to help entrain your mind into the depths of Theta & Delta where you begin to mentally, emotionally & physically 'switch off' to experience true deep relaxation easily. 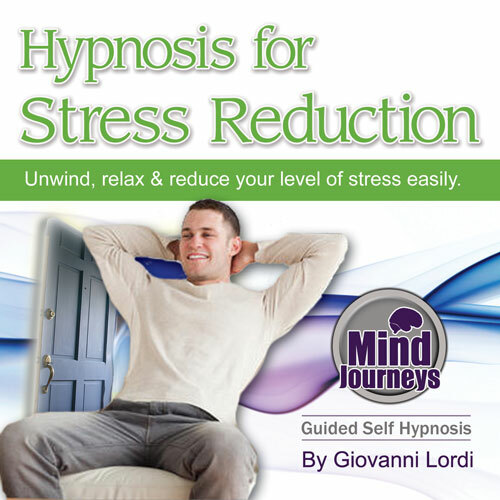 Giovanni will guide on this MP3 into a nice state of relaxation wherein he will make suggestions to your subconscious on how to deal with stress better in your daily life. Through hypnosis, these new positive patterns will begin to become embedded and flow across to every part of you in daily life. This will allow you to more effectively deal with stress & ultimately eliminate from your life altogether. "Stress free, un-worry, cam, relaxed, in balance, I am, I can, I will, easy, simple, succeed, success, fun, happy, confident, flowing with the rhythm of life, easy, emotions balanced, energy balance, conscious mind better questions, breathe in through stomach"